Large Red Japanese Tea Caddy - ideal for keeping your green tea as fresh and tasty as possible! 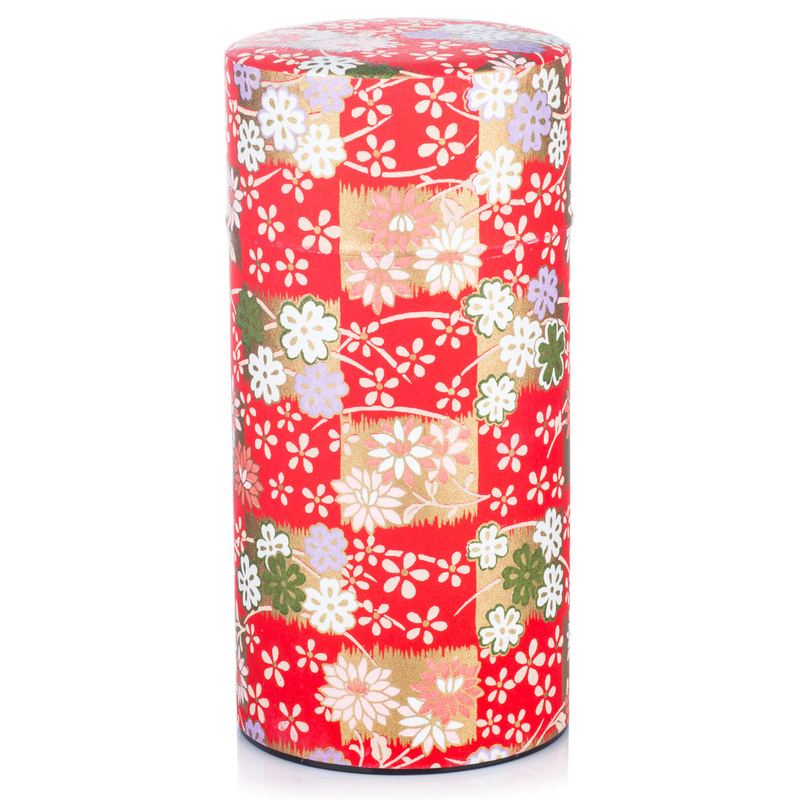 Covered with a beautiful brightly coloured red floral print washi paper. Size: 200ml, 15.5cm high x 7.5 dia. / 6 x 3 inches. Please note that colours and designs do vary. A very stylish little Japanese gift for all discerning tea drinkers! 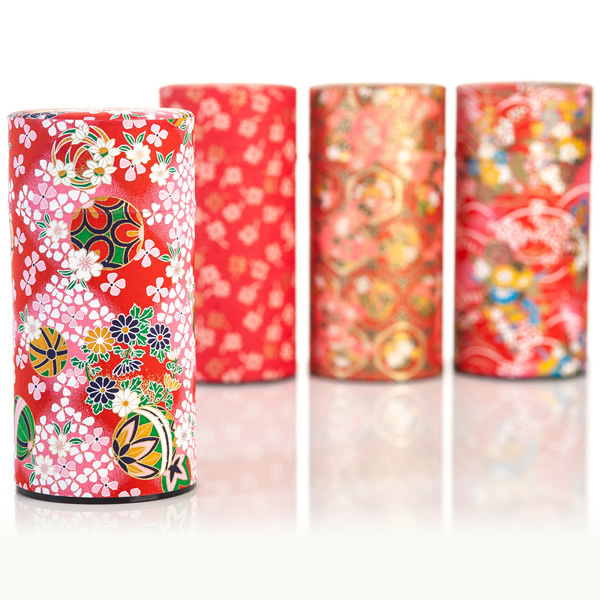 Exclusive to The Japanese Shop, the Large Red Japanese Tea Caddy is a traditional Japanese tea caddy which has been covered with a beautiful brightly coloured red washi paper. Made in Japan from a very sturdy metal tin with a black plastic base, a pull-out clear plastic lid plus another snug fitting lid on the top. It is suitable for storing all kinds of things but perfect for keeping your tea as fresh and tasty as possible! 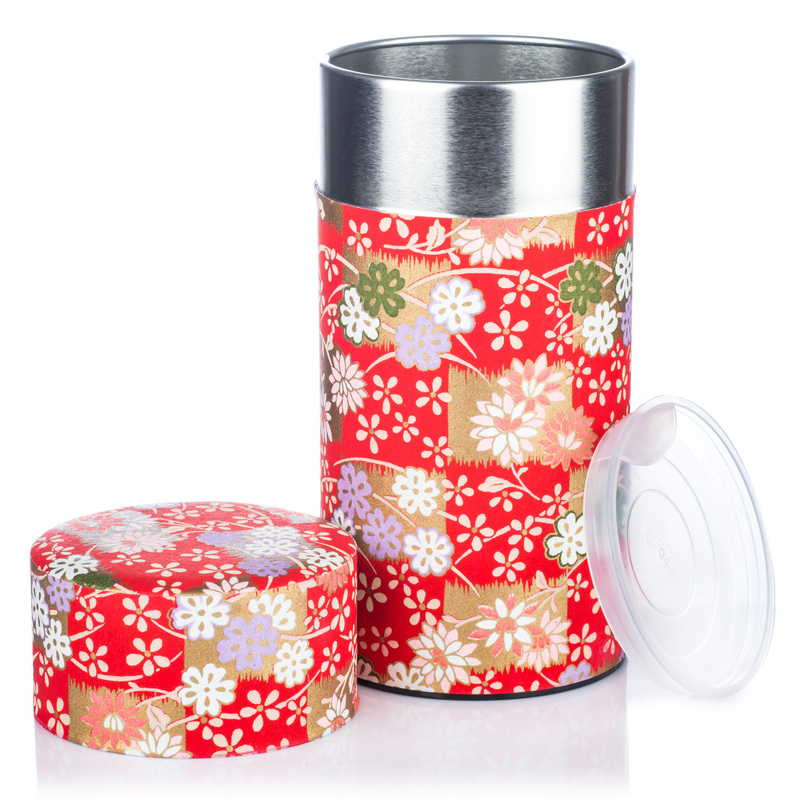 The Large Red Japanese Tea Caddy is a very pretty Japanese gift ideal for all tea drinkers! Order your Large Red Japanese Tea Caddy online today and have it gift wrapped free of charge, or visit our showroom for this and many more authentic Japanese tea caddies! Hello, I just wanted to let you know how pleased I am with the products I have just received - two bowls and a tea caddy (beautifully gift wrapped). They were so well packed, no chance of any damage! And I was very impressed with the quality and price. Thank you, I am sure to purchase from the Japanese Shop again in the future.